EXCLUSIVE: ‘A dogs dinner which has failed to achieve the removal of the backstop’ says senior DUP source – What next for Brexit? 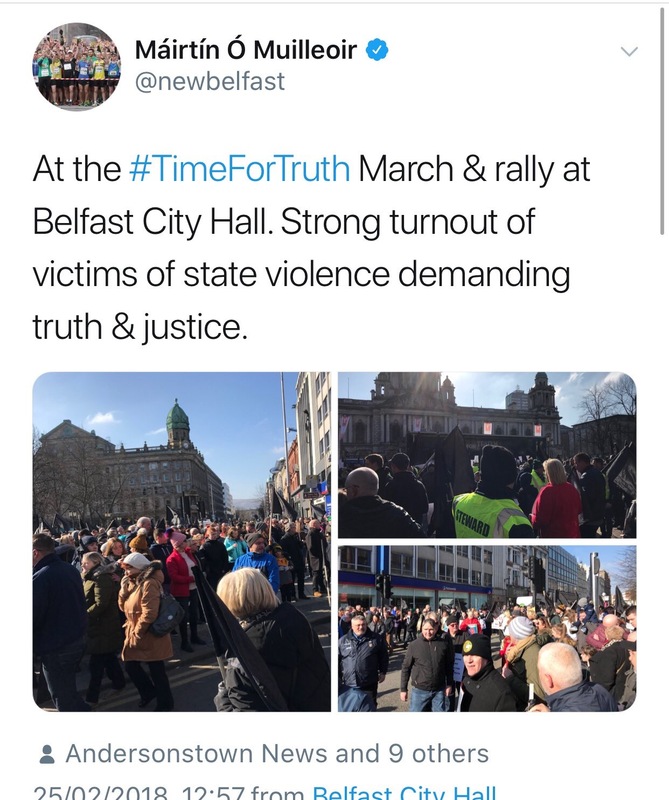 Sunday’s ‘Time For Truth’ march, organised by Sinn Fein and their surrogates, has breached the law by a failure to properly notify the Parades Commission of an IRA band participating. In their application the group clearly duplicitously stated that there would no zero bands taking part, and as such no determination was issued on this basis. 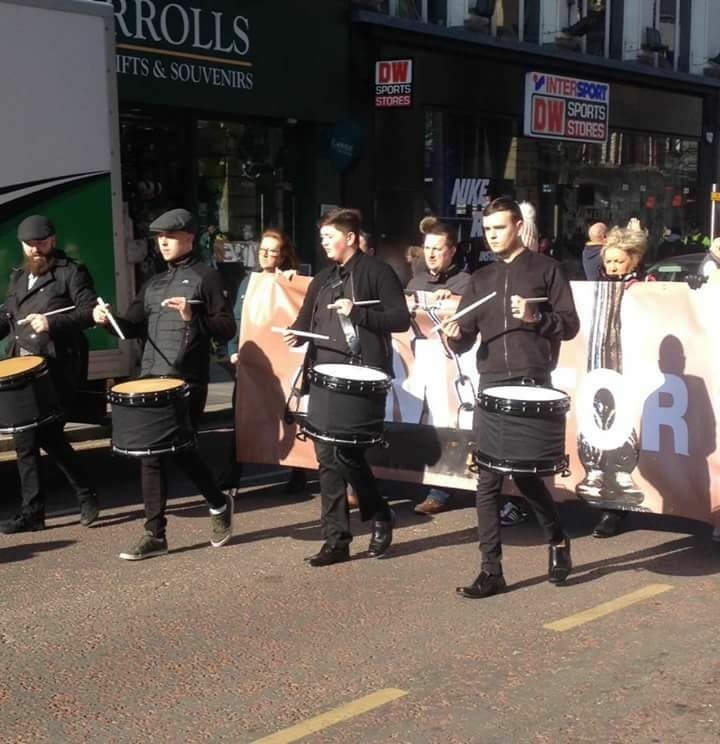 A photograph obtained by Unionist Voice shows a band playing musical instruments as part of the parade. 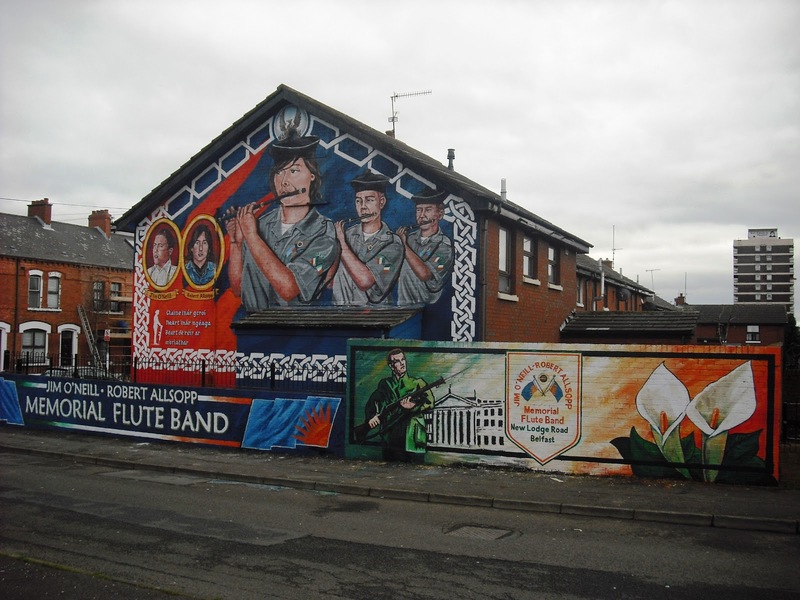 The bandsmen were from the O’Neill and Asloop memorial Flute Band, a band dedicated to two members of the IRA’s youth wing, Jim O’Neill and Robert Asloop. This highlights the hypocrisy of the ‘march’- to have a band named after IRA terrorists leading a ‘victims’ parade. Given Sinn Fein’s relentless targeting of unionist parades and their desire to run to the PSNI about every alleged ‘breach’ of a Parades Commission determination imaginable, it is only right and proper that unionism should hold Sunday’s republican march to the same standard. The event, according to Sinn Fein MLA Mairtin O’Muillieor, was only open to what he described as “victims of state violence”. The rally was fronted up by Sinn Fein MLA Emma Rogan, who recently attended the glorification of an IRA terrorist in South Down. A number of prominent solicitors, who have dedicated themselves to using their role in the profession as merely a tool to advance republicanism’s political agenda, also took prominent roles. No where during the event or speeches did anyone call for the IRA to tell the ‘truth’, or for justice for victims of the IRA. Instead countless convicted IRA terrorists were welcomed with open arms at the event. It is hoped that the PSNI will follow up these breaches of the law, and hold the organisers accountable. Those that signed the forms have clearly lied and mislead the Parades Commission, and as such the proper notification procedures have not been satisfied. … we have a small favour to ask. More people are reading the Unionist Voice than ever but unlike many news organisations, we haven’t put up a paywall – we want to keep our journalism as open as we can. The Unionist Voice is editorially independent, meaning we set our own agenda. Our journalism is free from commercial bias. No one edits our Editor. No one steers our opinion. This is important because it enables us to give a voice to the voiceless, challenge the powerful and hold them to account. It’s what makes us different to so many others in the media, at a time when factual, honest reporting is critical. f everyone who reads our reporting, who likes it, helps to support it, our future would be much more secure. For as little as £1, you can support the Unionist Voice– and it only takes a minute. Thank you. 201 Responses to "NEWS: Republican ‘Time For Truth’ march in breach of legal notification requirements"
I’m fairly sure I will be told plenty of new stuff right here! could suppose you are a professional on this subject. with imminent post. Thank you one million and please carry on the gratifying work. working, no uncertainty very quickly it will be well-known, due to its quality contents. Thanks for another informative site. Where else could I get that type of information written in such a perfect way? I’ve a project that I am just now working on, and I have been on the look out for such information. I’ll immediately take hold of your rss feed as I can’t to find your e-mail subscription hyperlink or e-newsletter service. you’re actually a just right webmaster. The website loading pace is amazing. Also, The contents are masterpiece. you’ve performed a excellent task in this topic! well-preferred than you might be now. You’re very intelligent. You realize therefore significantly in relation to this subject, made me individually believe it from so many numerous angles. is one thing to accomplish with Lady gaga! Your personal stuffs nice. It’s perfect time to make some plans for the future and it’s time to be happy. I’ve read this post and if I could I wish to suggest you few interesting things or advice. Perhaps you can write next articles referring to this article. I desire to read even more things about it! hi!,I like your writing very much! share we communicate more about your article on AOL? I need an expert on this area to solve my problem. May be that’s you! Looking forward to see you. Awesome blog! Do you have any recommendations for aspiring writers? I’m planning to start my own blog soon but I’m a little lost on everything. Would you propose starting with a free platform like WordPress or go for a paid option? There are so many options out there that I’m totally overwhelmed .. Any ideas? Cheers! Pretty nice post. I just stumbled upon your weblog and wished to say that I have truly enjoyed browsing your blog posts. In any case I’ll be subscribing to your feed and I hope you write again soon! Can I just say what a aid to find somebody who actually knows what theyre talking about on the internet. You undoubtedly know learn how to convey a difficulty to mild and make it important. More individuals have to read this and perceive this facet of the story. I cant believe youre no more well-liked because you definitely have the gift. Hey this is kinda of off topic but I was wondering if blogs use WYSIWYG editors or if you have to manually code with HTML. I’m starting a blog soon but have no coding knowledge so I wanted to get advice from someone with experience. Any help would be enormously appreciated! Greetings from California! I’m bored to death at work so I decided to browse your website on my iphone during lunch break. I love the information you present here and can’t wait to take a look when I get home. I’m shocked at how fast your blog loaded on my mobile .. I’m not even using WIFI, just 3G .. Anyways, good blog! know such detailed about my trouble. You are wonderful! this this website conations truly pleasant funny data too. With havin so much content and articles do you ever run into any problems of plagorism or copyright violation? My website has a lot of exclusive content I’ve either created myself or outsourced but it seems a lot of it is popping it up all over the internet without my authorization. Do you know any techniques to help prevent content from being stolen? I’d truly appreciate it. An impressive share, I simply given this onto a colleague who was doing slightly analysis on this. And he in truth purchased me breakfast as a result of I discovered it for him.. smile. So let me reword that: Thnx for the treat! But yeah Thnkx for spending the time to discuss this, I feel strongly about it and love reading more on this topic. If potential, as you turn into expertise, would you thoughts updating your weblog with extra particulars? It’s highly helpful for me. Massive thumb up for this weblog put up! exposure! Keep up the superb works guys I’ve included you guys to our blogroll. Just desire to say your article is as surprising. The clarity in your post is just nice and i could assume you are an expert on this subject. Greetings from Idaho! I’m bored to tears at work so I decided to browse your site on my iphone during lunch break. for a while and yours is the greatest I’ve found out till now. However, what about the conclusion? Are you positive concerning the source? and reading very informative posts at this time. I’ve learn several excellent stuff here. Certainly price bookmarking for revisiting. I wonder how a lot attempt you place to create this sort of great informative web site. It’s very straightforward to find out any matter on web as compared to books, as I found this paragraph at this web page. using this site, as I experienced to reload the site lots of times previous to I could get it to load properly. Anyway I am adding this RSS to my email and could look out for a lot more of your respective exciting content. be back to read much more, Please do keep up the excellent jo. hello!,I really like your writing very a lot! share we communicate more about your article on AOL? I need an expert in this house to unravel my problem. Very good post! We will be linking to this particularly great article on our website. Thank you a lot for sharing this with all folks you actually know what you are speaking about! Bookmarked. Please additionally consult with my site =). web people; they will get benefit from it I am sure. to all my associates, because if like to read it next my friends will too. I am really impressed along with your writing skills and also with the format to your weblog. and I’ll be book-marking it and checking back often! thought I may as well check things out. I like what I see so now i’m following you. Great weblog here! Also your site quite a bit up very fast! What web host are you using? 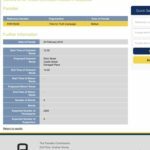 Can I get your affiliate hyperlink on your host? web page and be updated with the most recent news update posted here. It’s simple, yet effective. A lot of times it’s challenging to get that “perfect balance” between usability and appearance. Also, the blog loads super fast for me on Opera. Superb Blog! and i can assume you’re knowledgeable on this subject. carry on the rewarding work. Appreciation to my father who told me concerning this webpage, this webpage is truly awesome. and set up my own. Do you need any coding knowledge to make your own blog? look a nice weblog like this one nowadays..
few simple adjustements would really make my blog shine. I am regular reader, how are you everybody? This article posted at this web page is truly pleasant. topic. I like all of the points you have made. Tremendous things here. I’m very happy to look your article. Wow that was unusual. I just wrote an incredibly long comment but after I clicked submit my comment didn’t show up. Grrrr… well I’m not writing all that over again. Anyhow, just wanted to say superb blog! Hello there, I discovered your site by the use of Google even as searching for a similar topic, your web site got here up, it looks good. I have bookmarked it in my google bookmarks. wonderful post, very informative. I wonder why the other experts of this sector do not notice this. You should continue your writing. I am confident, you’ve a huge readers’ base already! Hello there! This post couldn’t be written any better! Reading through this post reminds me of my good old room mate! He always kept talking about this. I will forward this write-up to him. Pretty sure he will have a good read. Thank you for sharing! Great post. I was checking continuously this blog and I am impressed! Very helpful info specifically the last part 🙂 I care for such info a lot. I was seeking this certain info for a very long time. Thank you and best of luck. I think you have noted some very interesting points , regards for the post. Thanks a bunch for sharing this with all of us you really realize what you are talking about! Bookmarked. Please also consult with my website =). We may have a hyperlink trade arrangement between us! Good day! Do you know if they make any plugins to assist with Search Engine Optimization? I’m trying to get my blog to rank for some targeted keywords but I’m not seeing very good gains. If you know of any please share. Thanks! I used to be suggested this blog by means of my cousin. I’m not certain whether this submit is written via him as nobody else know such detailed approximately my problem. You are amazing! Thanks! whoah this blog is wonderful i love reading your posts. Keep up the great work! You know, lots of people are looking around for this info, you can aid them greatly. I’m just commenting to let you understand of the beneficial discovery my friend’s daughter found going through your webblog. She discovered a lot of details, most notably how it is like to possess a very effective helping mood to have certain people without hassle thoroughly grasp selected multifaceted topics. You really exceeded our expected results. Thanks for providing such necessary, trustworthy, educational and in addition fun tips about the topic to Tanya. Thank you for the good writeup. It in fact was once a enjoyment account it. Look complicated to far introduced agreeable from you! By the way, how could we communicate? 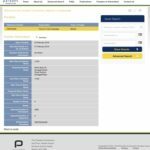 Does your website have a contact page? I’m having problems locating it but, I’d like to shoot you an email. I’ve got some suggestions for your blog you might be interested in hearing. Either way, great website and I look forward to seeing it develop over time. I do accept as true with all of the ideas you have presented in your post. They’re very convincing and will definitely work. Nonetheless, the posts are very brief for starters. May just you please prolong them a bit from next time? Thank you for the post. I’ve learn several good stuff here. Definitely worth bookmarking for revisiting. I surprise how a lot attempt you place to make such a magnificent informative website. That is the suitable weblog for anybody who wants to search out out about this topic. You understand so much its almost hard to argue with you (not that I really would want…HaHa). You undoubtedly put a brand new spin on a subject thats been written about for years. Nice stuff, just great! For the reason that the admin of this web page is working, no question very soon it will be famous, due to its quality contents. Keep up the good work! You recognize, many people are searching round for this info, you could help them greatly. thing, thus he/she desires to be available that in detail, so that thing is maintained over here. Spot on with this write-up, I seriously think this site needs much more attention. I’ll probably be returning to read through more, thanks for the advice! F*ckin’ remarkable issues here. I am very happy to look your article. Thank you a lot and i am taking a look forward to touch you. Will you please drop me a mail? I enjoy reading through an article that can make men and women think. Also, thank you for allowing me to comment! this up. This site is one thing that is required on the web, someone with a little originality! Magnificent goods from you, man. I have understand your stuff previous to and you are just extremely great. I really like what you’ve acquired here, certainly like what you are saying and the way in which you say it. You make it enjoyable and you still care for to keep it smart. I can not wait to read much more from you. This is really a terrific site. Normally I do not learn article on blogs, but I would like to say that this write-up very compelled me to try and do so! Your writing taste has been amazed me. Thank you, quite great article. of to keep it wise. I can not wait to read far more from you. you are stating and the best way through which you say it. If you wish for to get much from this piece of writing then you have to apply these methods to your won webpage. of hard work due to no back up. Do you have any solutions to protect against hackers? I do consider all the concepts you have presented in your post. Still, the posts are very short for novices. May you please prolong them a little from next time? Sign-up now to our newsletter - its FREE!